My loyal readers know that we’re planning on moving to Panama in 2020. We’re quitting our jobs at the end of 2019. We’ll then let our daughter finish out her school year (fourth grade). And then, yeah, we’re moving to Panama. Sounds crazy, right? You can say it – you won’t hurt my feelings. It seems like no one wants to ask us why we’re moving out of the country in the first place (and I’m guessing that’s what they’re really thinking!). Instead, they want to know why we chose Panama instead of some other place in the world. And that’s Ok – it’s still a fair question. Moving to Panama You Say? Um, Why Panama? There’s always that half grin when someone asks the “why Panama” question, too. It’s not quite condescending, but it’s a question people love to ask. I’m guessing they’re thinking we haven’t thought this all the way through. What’s funny is that it doesn’t bother me. I actually enjoy seeing how people react when the subject comes up. When I first went down this path, it wasn’t a snap decision to decide we were moving to Panama. I had actually spent a good couple of years digging into the idea of moving to a low-cost country… but which one? I didn’t want to go to just any low-cost country. I wanted to find a country that could meet most of the criteria of what we might be looking for. And funny enough, the more I started looking at some of the different factors, the more Panama seemed to really stand out more than the others did. 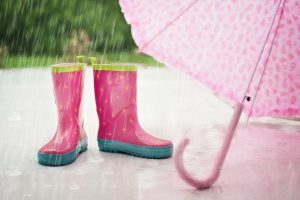 For me, weather is important. If I’m going to be moving anywhere, I want to make sure that I’m getting away from the snow. I hate the cold – I might be one of the few male freeze-babies out there. If you want a good laugh, know that during the winter, I wear long johns underneath my clothes to work every day. Understandable, right? A lot of guys wear long johns under their clothes when working outside in the cold. Yeah, except I don’t work outside. I work inside in an office building. On top of that, I also have a small space heater in my office. Um, yeah, I have problems. So, yes, weather is important to me. But get this – I also hate when it’s too hot outside. I sound like a dream to hang out with, right? So that narrowed things down quite a bit for us. Paradise temps… at least in my eyes! Beautiful and perfect for getting outdoors and walking around… every day! What I found in Panama is something truly awesome. They have a city in the mountains called Boquete that’s 75 degrees Fahrenheit every day. Did you catch the “every day” part of that? That means that I’ll actually want to be outside. I don’t want to go somewhere where it’s too hot to walk around – I’d end up wanting to be inside in the A/C all day. That’s horrible! At 75 degrees, I can go for walks every day with Mrs. R2R while our daughter’s in school. I can go outside and tend to the garden I want to have. We can ride our bikes as a family, walk to the grocery store to pick up a few quick items, or just walk around the downtown area. Moreover, the nights are cool there – generally in the lower 60’s. In other words, perfect sleeping weather. No heat or A/C needed. Some ceiling fans during the day would round things out to be just right! I agree. However, my thoughts are that it wouldn’t be realistic to think we’d be beach bums every single day. Sure, maybe at first we would, but once we get past the “yay, we’re retired” phase, we’re going to want to live a somewhat normal life. And I don’t think that means swimming in the ocean every day. But, Boquete is about 30-45 minutes away from the beaches of David. And David is not in the mountains. So as you head toward David, the temperature goes up… quickly. We could easily take a nice quick drive to the ocean and play in the ocean where the temperature is in the upper 80’s or 90’s. And without us working 9-5 jobs, we can even treat it like a vacation and stay at a VRBO there for a couple days if we want. That’s what I call perfection. That alone is almost enough to justify us moving to Panama. And here’s a little piece of trivia… when you think of the tropics, you tend to think of hurricanes. What you might not know is that Panama is not in the hurricane belt and they’ve never had one there. Would these be boots my daughter would wear or me? You’ll never know for sure! However, it’s not all peaches and cream. No location is perfect and that includes Panama. It rains there… a lot. In fact, they don’t have summer and winter there. They have the rainy season and the dry season. And the dry season is much shorter than the rainy season. But I’m Ok with the rain. First of all, it keeps everything looking beautiful there. And second, it tends to rain at regular times (for the most part). If I know that every day around 4 PM it’s going to downpour (and it definitely downpours!) for a few hours and then be done, I can easily schedule my day around it. They also have earthquakes. There not San Andreas type of earthquakes, but they still do have ’em. I’ve never been in an earthquake and I’m sure the first one I’m in will scare the #$%^ out of me, but I also don’t think it’ll be enough to make me want to flee from the country. I have no idea what this is, but let’s pretend it represents community… an expat community! I’m all about trying something new and moving to Panama certainly qualifies. However, I’d be a little nervous about moving to a place where we were the oddball out (although I should be used to that!). Some folks would have no problems with living in a place where you’re the only foreigner. But I personally would feel more comfortable having a community around of people in a similar situation as us. Panama has a strong expat community. If you’re not familiar with the term expat, it’s short for expatriate and just means that you’re a person living outside of your native country. In other words, it has a lot of folks similar to us there. 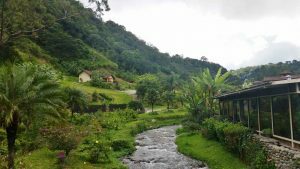 Sure, most of the expats in Panama are going to be older retirees, but it’s still a community of people that are learning (or have already learned) the nuances of living in the country. Think about how helpful that is! 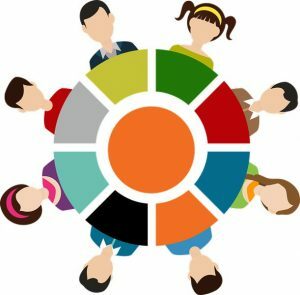 Most people in the country speak Spanish, and although we’re already working on learning the language, it’d be nice to have a group of people nearby who speak English. Panama is still considered a third-world country. That’s good for those of us aiming to move there and aim to leverage geoarbitrage to enjoy a nice, low cost-of-living. But poor countries can have some correlations to higher crime rates. Mmm, beer! 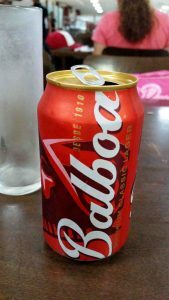 And a beer with the same name as the Panamanian currency – it’s got to be important! Panama has become the fastest growing economy in Latin America. They have a number of different reasons for this, but the Panama Canal in itself is huge for the country. In 2017, the Panama Canal generated over $1 billion in profit! That’s a lot of dough for a third-world country. Over 75% of the country’s GDP comes from the services sector and they’ve been taking a lot of the money they’re making and investing in other areas. For example, they continue to expand the Tocumen International Airport, which is becoming the hub for all of Central America. That’s a big deal! So the economy is growing, which is good. I just hope it doesn’t grow too fast or the country won’t be a cheap place to live for much longer! The other tidbit I like specifically has to do with Panama’s currency. One reason I like it is that it’s called the Balboa. Not only is that the last name of Stallone in the Rocky movies, but it’s also the name of one of their beers. The other reason I like the Balboa though is that it trades on the equivalent of the U.S. dollar. They’re interchangeable. We don’t have to worry about the complications of converting our money. Otherwise, that could add some complexity to our situation since all our money is in U.S. institutions. Doctor, Doctor, gimme the news… I got a bad case of lovin’ you! One of the biggest struggles that anyone wanting to retire early has to consider is healthcare. 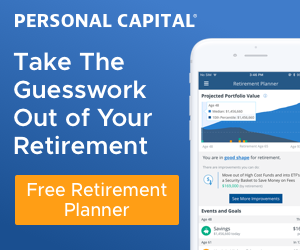 You can save enough to cover your expenses for the rest of your life, but the crazy healthcare costs here in the U.S. can throw a major wrench in the works and throw your plan out the window! Moving to Panama or another less expensive country has the potential for some great healthcare cost savings. Talk to anyone who practices medical tourism and I’m sure they can vouch for how you can get good medical care and save thousands of dollars outside of the U.S.
Now, just because the healthcare can be cheaper elsewhere, doesn’t mean it’s going to be great. I was happy to learn after talking to some of the expats in Panama that the healthcare provided is very good. 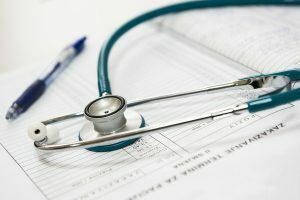 Many of the doctors get their training in the U.S. and speak English, which for some reason makes me feel more at ease. The cost of healthcare can be ridiculously cheap – a doctor’s visit might run $25, for example. That’s not a copay and that’s the cost without any insurance! There are also big name facilities in Panama City that are affiliated with the Cleveland Clinic and John’s Hopkins Hospital. This makes us feel comfortable with choosing Panama when it comes to healthcare. 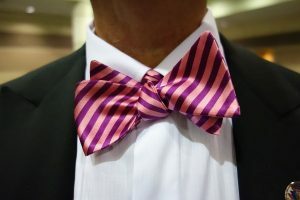 No, not this kind of tie, but you get the point! Ok, I’ve complained in the past about some of the problems here in the United States. However, even though it’s not perfect, I recognize how lucky I am to live in such in a great country. And with that, one of the things that made Panama stand out for me is the country’s ties to the U.S. This is kind of a political double-edged sword, but the U.S. has its connection to Panama specifically because of the Panama Canal. There are certainly some reasons why the U.S. should not be involved with the Canal. Feel free to check out the documentary, The Panama Deception, if you really want to shake your head in disgust. Regardless, the U.S. has had thousands of people in Panama for decades. I’m sure there might be a slightly bad taste with Americans in Panama, but for the most part, the two countries’ citizens seem to get along just fine. The local Panamanians don’t seem to think twice about gringos in their country… and I like that. After dictator Manuel Noriega was taken out of power, the Panamanian Defense Force dissolved. Panama no longer has a military. Instead, the U.S. acts as the military for the country. If you’re curious as to why, remember that everything’s always about money. In the case, it’s the U.S.’s vested interest in the Panama Canal. These ties are unique and helped Panama stand out to me. This is about how fast service can be expected in Panama, but I’m Ok with that… I think. Probably the last reason why we’re moving to Panama as opposed to some other countries is the simpler lifestyle. This isn’t going to be specific just to Panama, but it’s probably more so true in Central America than it is in a lot of other places in the world. Many folks might be turned off by a slow-paced lifestyle, but I’m looking forward to it. Everyone’s always in a rush here – busy, busy, busy. In countries like Panama, it’s exactly the opposite. Folks just take their time. It’s sometimes known as a mañana mentality in Panama. Mañana is Spanish for tomorrow and when it comes to service there, you can just take that to mean not today. What will be interesting is that I’m excited about this. But, in all honesty, we’ll see if I can adjust to this lifestyle easily. It’s one thing to think about how great it would be, but it’s another to actually be a part of it. Now is moving to Panama going to be picture perfect? No way! This is going to be such a different lifestyle that I’m sure there will be some things we love and some things we hate. I’m hoping that the things we love though strongly outweigh the things we don’t. If not, in a few years, you might just find us moving to another country to try out! 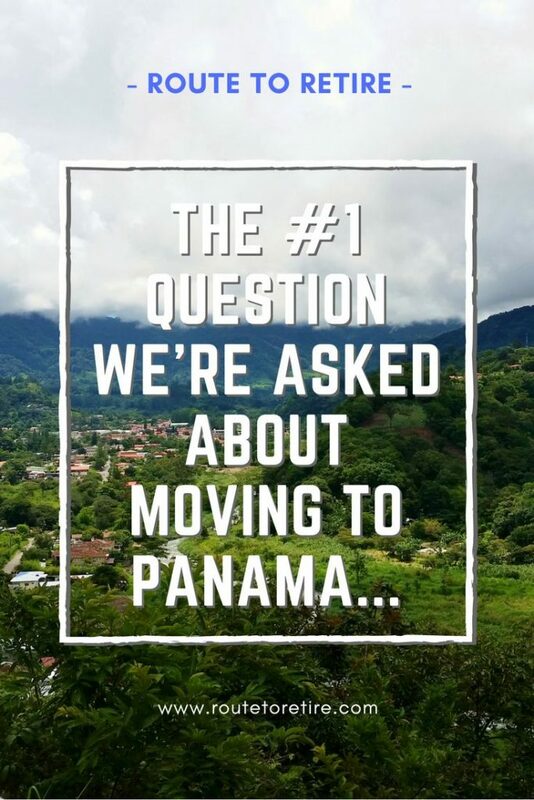 Have you ever considered moving to Panama or another foreign country to live? These are all fantastic reasons to move to Panama. I’m nearly convinced myself now :). However, we’ll be headed the complete opposite direction this summer spending 3 years in Shanghai. I’ve found that the key to living (well, happily anyway!) in a foreign country is to not expect things to be the same and really embrace the new (the food, the activities, the customs and holidays…) It’s definitely hard, but it’ll be an amazing adventure for your daughter too and I’m sure you’ll always be glad you went! Holy schnikes, Kathryn – I didn’t realize you were leaving for Shanghai this summer! Was this something you’ve announced on your site? I don’t remember reading about it, but that’s really exciting! Congrats to you! Wait a minute – does that mean you’re not going to be helping stir up trouble at FinCon this year? No public announcement yet, but that’s why I’ve been kind of MIA from my site lately (tax season + international moving preparations). I have a ticket to FinCon, definitely still planning to come and stir up trouble ;). That’s exciting and since you’re planning on FinCon, that means we’ll all get to hear the good, bad, and ugly about living in Shanghai! I think your move sounds wonderful. The FI community gets it! In fact, I’m sure quite a few of us are jealous! Thanks, Doc! It’s a big leap, but it should be a great adventure nonetheless! Sounds like fun. In retirement we plan to live in various countries for six months at a time. You made panama seem appealing enough I might see about six months there. Doing 6-month visits to other countries sounds really awesome! Are you hoping to do countries all over the world like Asia and Europe or just places like Central America? I definitely talk about retiring to another country all the time. It helps that I speak almost fluent Spanish and we are considering adopting from a Latin American country for this very reason. I think it is fantastico! Wow, that’s really cool on the adoption discussion. I hope to hear some more about it if you go down that path! What the #$%^ is wrong with you? Panama? Are you insane?! I’ve heard folks have to sleep in their bathtubs there to avoid the snakes…. Great post, I’m looking forward to living vicariously through your words when you make the big move! That’s a good overview. I like the healthcare aspect. It’s sad that US residents need to go to foreign countries to get healthcare. My friend is going to Hungary this summer to get some dental work done. It’s going to cost $20,000 in the US because she is self employed. Ridiculous. I’m really wondering if you can get used the manana lifestyle. I hate unexpected delays. Not sure if I can handle it. It’ll requite a big shift in mindset. Good luck! We’ll come visit for sure. I think you pretty much nailed it with “ridiculous” regarding the healthcare here… not much else to say about that. Yeah, that change in the slow lifestyle will be interesting. I’m a very “let’s go” kind of guy, but I’m thinking that when I’m not working, I won’t be in such a hurry… we’ll see! Hmm.. I’m convinced Jim! Where do I sign up? We’ll definitely have to come visit and check it out sometime! Panama and Costa Rica are definitely on my short list for foreign retirement destinations. A few questions: How’s the internet there? Are you going to put your daughter in a private school? And, do you guys intend to rent or buy? Non-citizens buying in foreign countries can often pose a problem. Hey, Mr. Tako – welcome back from your Texas trip! My understanding is that the Internet is not that great there, but it depends on your location. 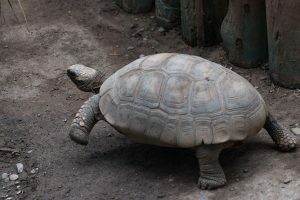 In places like Panama City, you’re probably going to get a faster connection than you might find in some of the more developing cities. If I remember right, I should be able to get a 10 Mbps connection in Boquete. Not great, but we might look at using 4G instead. We’re still deciding on the schooling. We’re probably going to homeschool her the first year since we won’t have our Visas yet and will have to bounce back and forth between countries. Once we get our Visas though, my daughter is looking forward to going to an International school there. I enjoyed the photo captions on this one! I don’t know much about Panama, only that my friend’s family is from there, but it sounds like you have done your research and have selected it based on your lifestyle. Don’t let others’ ignorance of Panama dissuade you from achieving this! I think Panama is a great option. We spent three and half months in Panama last year, most of it in the Boquete area. We LOVED it. The rain was predictable. Spend the morning outside, watch the rain in the afternoon from our living room. It was relaxing. We also had a large earthquake, everything shook, pots fell. It wasn’t bad at all. The healthcare I can attest to is good – I had knee surgery there. Yes, when we retired early we for many of the same reasons decided to retire to another country. Only we couldn’t figure out which one. So instead we decided to travel full-time and spend about three months in every country. We absolutely love our lifestyle. I truly love hearing feedback (good or bad) from folks that have lived in Panama, so thank you so much for this comment! That’s awesome that you’re able to enjoy a good amount of time in different countries. Which ones have been your favorite so far? We started in Central America, Nicaragua, Costa Rica, and Panama. From there we are slowly making our way south. Colombia, one of our favorites, Ecuador, Peru and now we are in Bolivia. We are really enjoying this slow travel pace. We generally decide after we get to each new location how long we want to stay. Have you visited Bocus del Toro or Coiba from Panama yet? We ran out of time and didn’t make it to Bocas del Toro, but I’ve heard a lot of great things and we’ll definitely be spending some time there once we move. I haven’t even heard of Coiba, but I just pulled it up on Google Maps – guess we’ll be heading there, too! We’re going to have one busy time once I quit my job! Sounds perfect. Busy having fun! My wife and I are travelling to a different country every 2 months just to see where we want to go after she finishes school. South America is an option! Now that sounds really cool, Troy! Can’t wait to hear where you guys end up settling! We have two children in middle school and we live in Abu Dhabi where I’m finishing my career. This is an amazing city in a dynamic country with incredible schools. When we leave here in two years, ourmajor concern, aside from affordability, is our school options. You didn’t mention your daughter’s school as a consideration. What are your thoughts and plans? Hi Ian, schooling is important to us as well. We’ll likely homeschool our daughter for the first year because we’ll have to leave the country for a 30-day span after being there for 180 days. Once we decide we’re happy there and staying put, we’ll get our Visas. At that point, we’ll decide if we want to continue homeschooling or send her to school. Panama has public schools and International schools. From talking with many expats there, the International schools are where you’d want to send your kids. The schools are supposedly very good and the cost is inexpensive (maybe around $2k/yr in Boquete). We’ll have the time to continue with the homeschooling if we want, but we’ll more likely send her to school so she can get a little more immersed in the culture and make some new friends. I get it, but how did it even show up on the radar? I mean when I google affordable retirement places, panama shows up on a few lists but so do about 9 other countries…all with the same affordability and weather… had you considered other places and settled on this one for the reasons you listed above? Or did one just stick out to you for some reason? That’s fair – it’s been a number of years since I started on the road to the idea of Panama. But if I remember right, it was a country that kept showing up on the lists as good countries to retire to. For me though, I liked that the there was still a number of U.S. ties – they use a currency that is always the equivalent of the dollar, there are a lot of expats there because of the Canal, and the economy is probably the most stable of all the Central American countries (again because of the Canal). Then the more I dug into it, the more I liked. If we wouldn’t have liked it after our visit there, I’d probably have started to look at other countries like possibly Costa Rica. I’m going to start following you just to hear about your retirement in Panama. I am 8-10 years away from retirement, but my wife and I have discussed moving out of the US. I am looking for people heading in different directions and reading about their experiences. Awesome – glad to have you aboard! I’m sure I’ll be posting about what we learn about the planning involved as well as the pros and cons of living abroad. Great article, Jim. Learned quite a bit about Panama. As an expat living in India, I could relate to some of the points. What do you estimate as your living costs there? In my website, I have an article about my budget in India. While it’s significantly less than our Texas living costs, other expats in the region tell me its higher than their own costs. Thanks, Roman – while we think it’ll be a lot less, our FI plans are giving us about $48k/yr to work with. We’re going a little higher because that’s our cost of living here in the U.S. If we don’t like living there enough to move back, we want to make sure that we’re able to afford to without needing to go back to work. Great Post! Our family of 5 is considering a move to Panama in the coming year or two. Our three children are 7, 5 and 3. I think it would be a wonderful upbringing for them living an outdoor oriented life. And there seem to be so many benefits to living in Panama: Weather, infrastructure, taxes, social/cultural, slower pace of life etc…My wife and I met in Latina America and we have always had a return in mind. I will be following you on your journey and if we do decide to move I will be in touch. Hey, that’s awesome to hear, Ben – looks like we have the same thoughts on this. I’ll be looking forward to hearing if you decide to make the move as well! However, I would strongly recommend that you join in on one of Jackie’s Q&A calls from Panama Relocation Tours. You can ask her whatever you want – she’s fantastic and has been living there around a decade now so knows a lot about the country. I would also suggest that if you haven’t been there yet, one of her tours might be exactly what you want. It’s focused on folks that are considering retiring there and want to know more about the country. It would definitely be useful to make sure you know what you’re getting into and help you understand all the ins and the outs. Outside of that, I’ll be posting a lot more about Panama once we get down there later this summer. Congrats on the upcoming retirement!